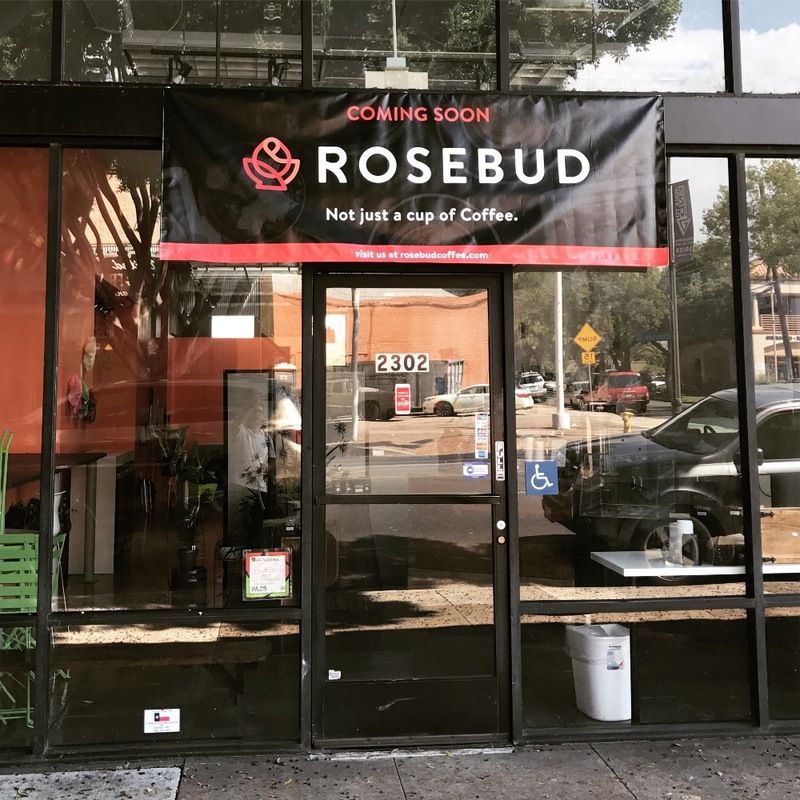 Rosebud is the cafe extension of Rose City Coffee , a non-profit with a social business dedicated to empowering and employing youth transitioning from the foster system and/or homelessness. We craft coffee, change and community by sharing our knowledge of specialty coffee skill with Transitional Aged Youth (TAY) in our one-on-one training program. This empowers them to gain job experience and confidence for employment in the coffee and hospitality industry. There, they can find stability, creativity and friendship in an ever-growing world of possibility. Until now, Rose City Coffee was exclusively a catering company, using its beloved cart, Rosebud, to serve the community. a compassionate family man (Dan) found himself tasked with jumpstarting a church in Pasadena, California. On the church property he found a small group of homeless young adults sleeping on the concrete slab underneath the awning at the back door. Focused both internally toward the church he pastors and externally toward the city in which his family lives, Dan looked for ways to better meet the needs of the youth in his neighborhood. 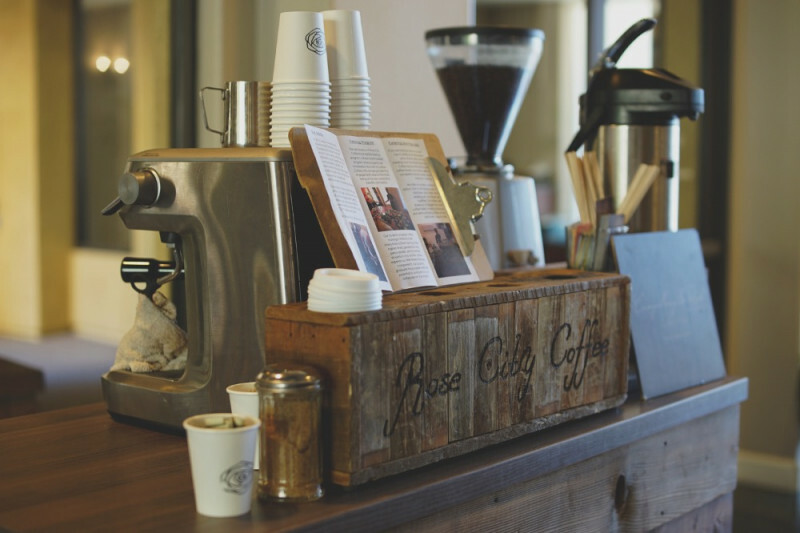 A coffee lover from his time in Europe, Dan and his friend Brett Prior had an idea one day to repurpose a coffee cart that he inherited at the church. Meeting with Michael Phillips from Handsome Coffee, Brett and Dan realized training youth in speciality coffee could create the difference he was hoping to make. Thus was born Rose City Coffee. After the dedication of a few volunteers over the last five years, Rose City Coffee is opening its first brick and mortar. Through a three to five month training program, we have trained 15 youth - 65% of which moved on to jobs in the coffee/food service industry. Expanding to a cafe will increase the number of TAY we can take on at one time and give more through first-hand experience before launching one into his/her own career. At Rosebud , the heartbeat of our coffee shop is our espresso machine. Its gentle hum is our center. From there a gift is given, an exchange between new and old friends. As we embark on the journey of opening the doors to our first shop, we are hoping to raise money as a community for the La Marzocco Linea PB . The retail cost of the Linea we hope to purchase is $18,000. We'd like to make this the item that our community purchases with us. Your tax-deductible donation will be put to very good use. Anything above our goal will, of course, go toward our other build-out and equipment needs. Please note that the total costs of equipment will be nearly $35,000 for the grinders, batch brewer, refrigeration and many other items needed to sustain a cafe. The reality of what it means to fall through the cracks of incomplete systems is harsh . It takes determination and months, if not a year or more, of support to get on one's own feet after experiencing homelessness. 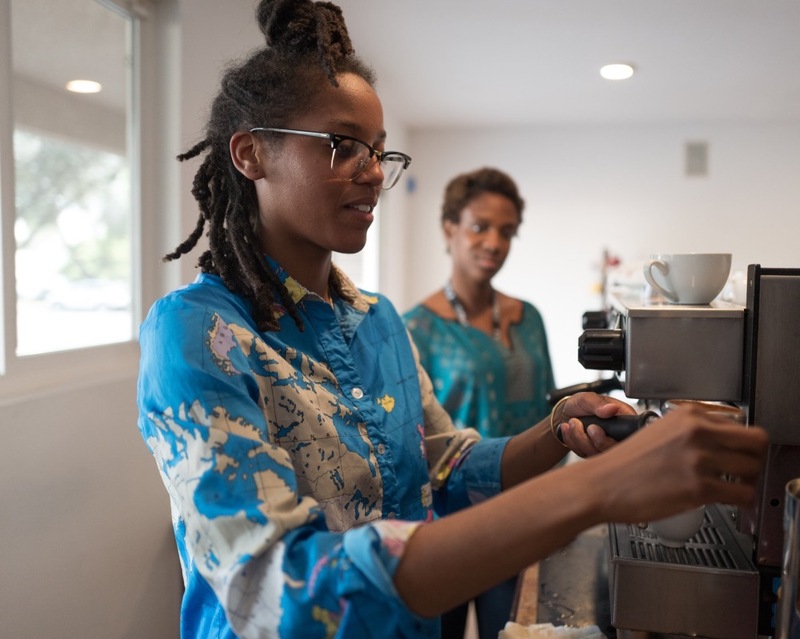 In this effort, Rose City Coffee connects with organizations which provide housing and social services in order to more fully support each youth to whom we are introduced. Our training process is a thorough mentoring model. 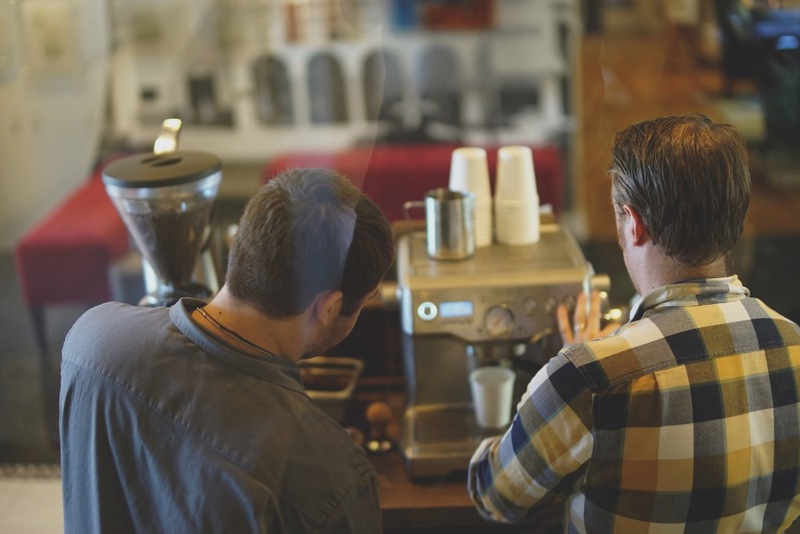 Each youth is paired with a local barista who imparts the finest skill level comparable to any specialty coffee training program currently available. Partnership is not only what we seek when supporting youth through skills development, it is the fabric of who we are. While we are a multi-roaster and those we choose to partner with take great care and concern for the communities in which they find themselves doing business as well. Wild Goose coffee roasters donates 10 POUNDS of food to a food bank in the area of their wholesale account for every pound of coffee we sell. 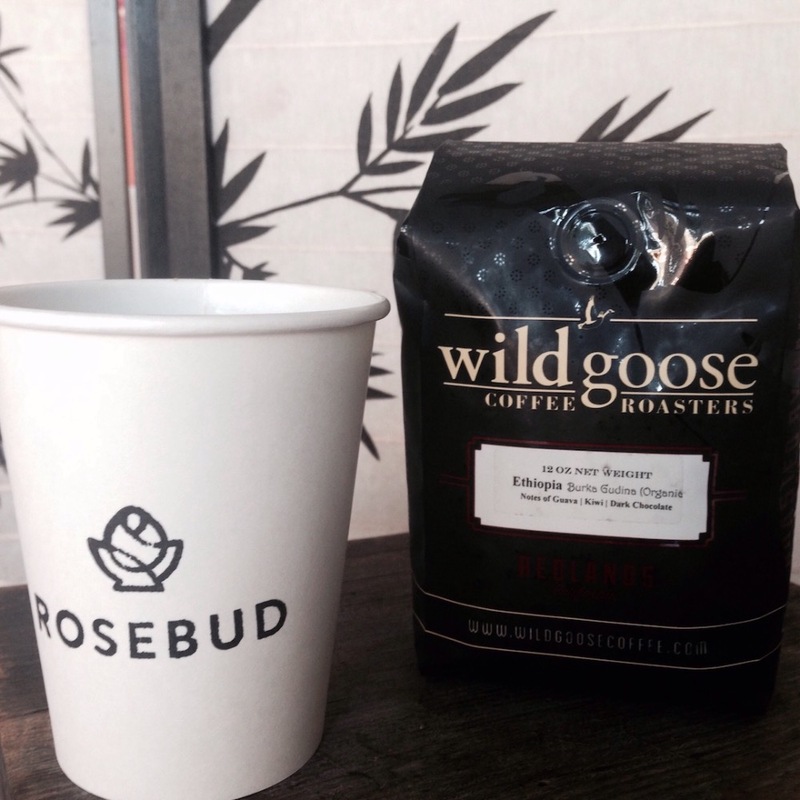 By purchasing coffee from Wild Goose, we're bolstering our local food bank. Sababa water pays for one full meal per EACH bottle of water purchased. HOPE catering hires those who have been outcast and overlooked. Demitasse regularly donates to charitable causes of all types, including the Trevor Project, Raise-A-Child, and the ACLU. From Aug 29 - Sept 9, we'll be popping up in our new space at 2302 E Colorado Blvd. Pasadena from 8A-12P Monday thru Saturday. THANK YOU. We are incredibly grateful for each of you who have taken the time to read about us and our partners. For whatever you can give, thank you. Mostly, thank you for being you and our friend. Thank you all for the support this year! 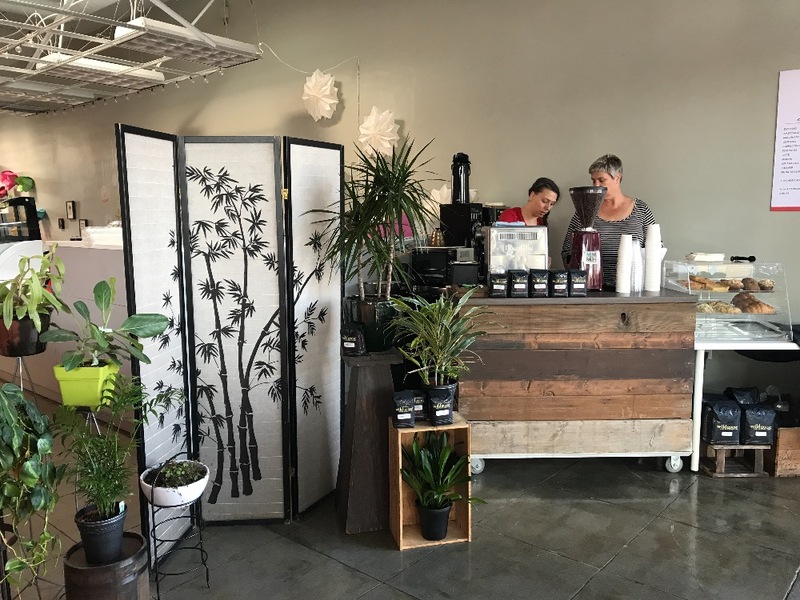 I wanted to share that we receive a couple of private donations to help us open the shop and purchase the Espresso Machine that we've dreamed of. Even with this support, we have a list of items to acquire in finishing the cafe space: outdoor and indoor signage, merchandise shelving, and a community board. Speaking of community, the Rosebud community has grown tremendously over the last couple of months and we are now ready to support our local high school, Rose City High School, with mentors, internships, events, and the re-selling of art. This community partnership has become a wonderful way for your contribution to give back locally. With the tax laws changing next year, we invite you to consider a tax-deductible donation before the end of the year, by helping us reach our GoFundMe goal. Today is always a day which holds a great well of emotion. September 11 will never cease to hold the grip of grief in our collective American unconscious. It was day we remembered our human vulnerability and capacity for unity. Sixteen years ago our day, week, months all stopped as we hashed out the details together. I understand what it is like for one's world to stop, screeching and spiraling when no one around seems to notice the deep ache of the beating heart. Today, we acknowledge that we take steps to move our lives forward and live in this present moment because our pasts are not what define us. The past is not a limitation to what is possible in the future. It informs and integrates into the complexity with which we experience. That is why we move forward today, in grief, and hope-filled joy. Renovations began in the Rosebud space today and it is a wheel that will not stop turning until the checklist of boxes for redesign are ticked…and, of course, everyone is paid. :-) It turns out, things just may wind up taking a lot LESS time and we'll likely be opening doors in the beginning of October a bit earlier than anticipated. We are deeply excited to share this space with our community, and bit more excited to expand the degree of impact we are able to make in this community's youth. As we update you today, we encourage you to reach out to those who were impacted by, first responders, and good samaritans 16 years ago in New York. Share a moment of thoughtful love with them as we do, along with those impacted by the recent hurricanes. Remind them that they are not alone in their grief and loss even though we will move forward in hope and together. Thank you for your time today, as always.